save summer in a jar with flavorful sweet preserves that bring memories of summer with each spoonful. 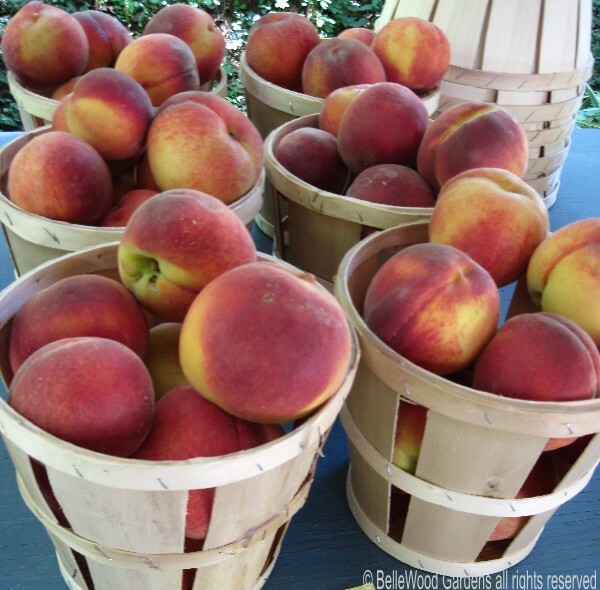 Baskets of peaches with fuzzy soft skin, tender to the touch and perfumed with the aroma of summer, picked early this morning. No doubt you probably already have a couple of large pots, measuring cups, large metal spoons. Buy some canning jars and 2 piece lids. Peaches and sugar, some lemon. Ready, set, let's start. Bring a large pot of water to a boil. Drop in a few peaches at a time. Let them seethe for just a minute. Lift them out with a slotted spoon and drop them into a cold water bath with a tray of ice cubes added. Lift out of the cold water and slip off their skins. Repeat until you've processed about 3 pounds of peaches. 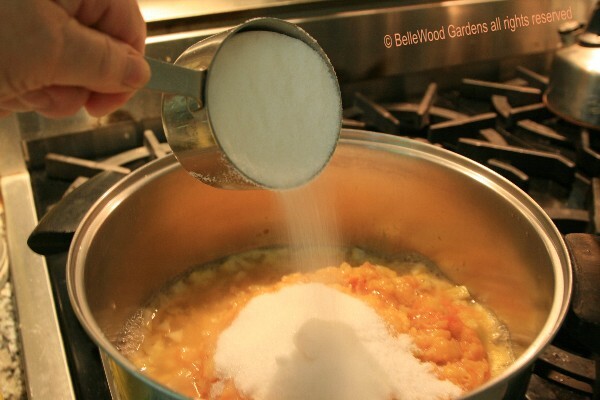 and sugar, boiled to a temperature of 220° Fahrenheit. 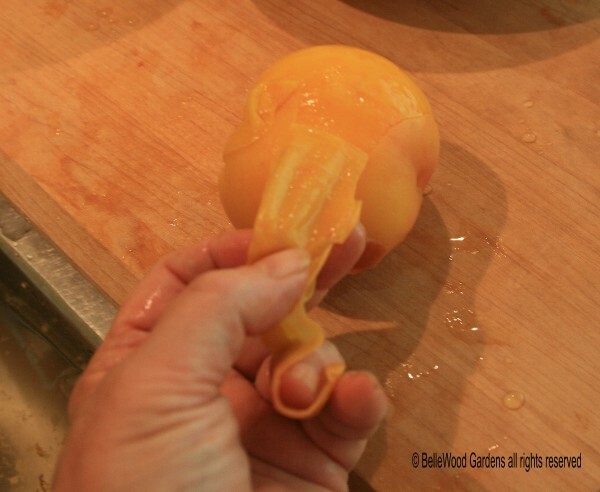 These very ripe peaches are are low in acidity and pectin. So I'm going add a lemon. Chop one medium lemon, peel and all. 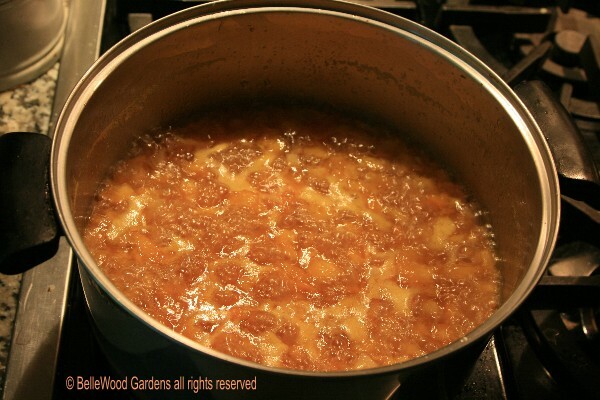 Place in a small pot with half as much water as lemon, cover the pot, and simmer gently until soft. Another Important Note: This quantity of peaches yields seven 8-ounce jars of jam. Wash jars with hot soapy water. 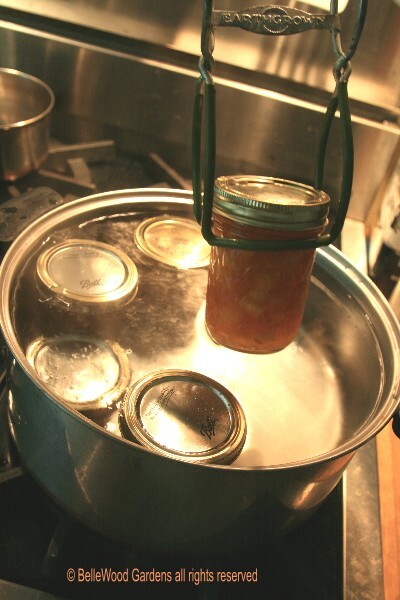 keep the jars hot while you make the jam. 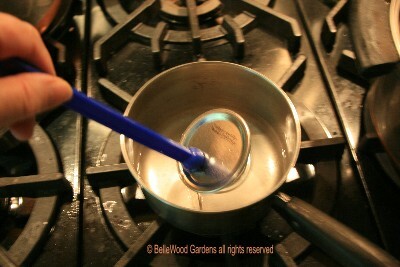 The two piece lids - bands and flat lids - need just a brief simmer. 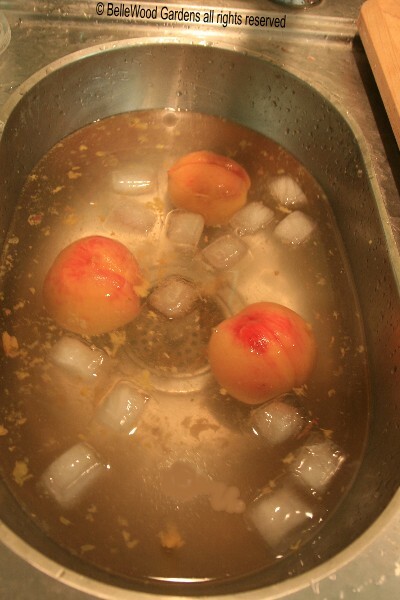 Cut the peaches in half and remove their pits. Crush the peaches. Then measure. You should have about 6 cups. 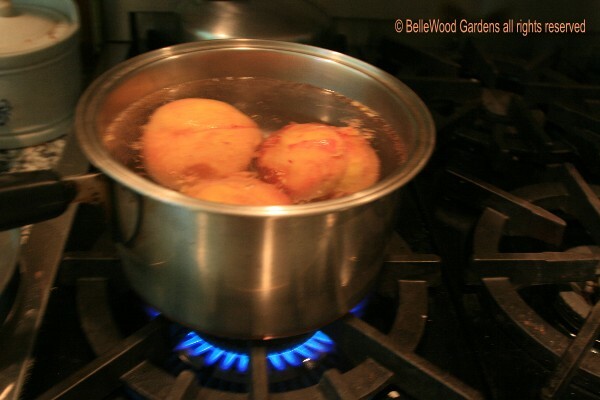 In a large pot combine the crushed peaches, lemon, and 4 cups of sugar. until the jam has thickened. A spoon dragged through the mass will leave a slowly filling track. Remove the jars from their hot water bath. Use a funnel with a wide opening to fill each jar. Wipe the rim and screw threads with a cloth dipped in hot water to make sure they're clean. water back to a boil and process the jars for 10 minutes. 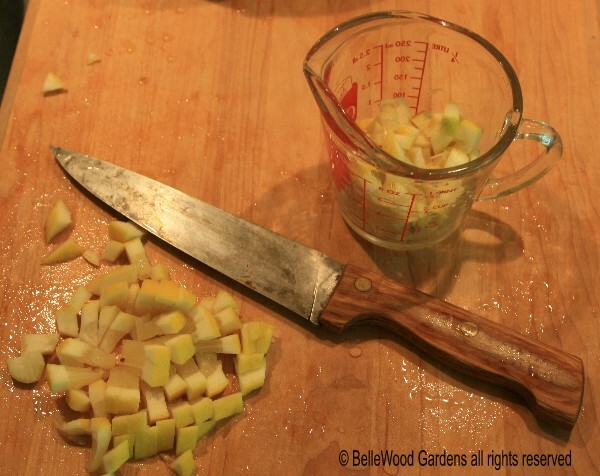 such as a wooden cutting board and allow the jars to sit, undisturbed, until cool. 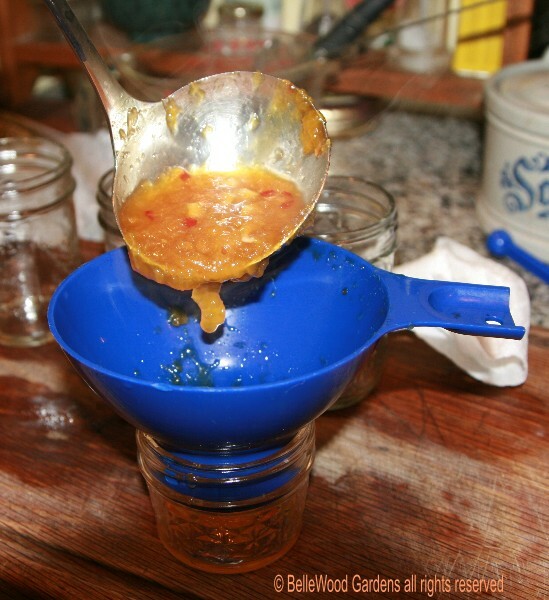 Now that you've made peach jam there are some easy variations that I think you'll enjoy, such as Ginger Peachy Jam, and Peach with Chile Pepper Jam. chopped. 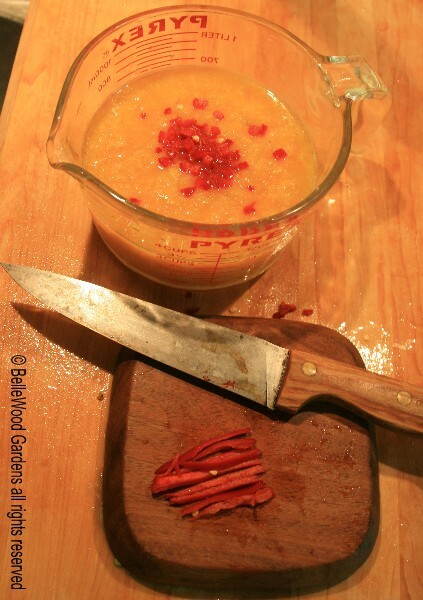 If you want to kick it up a notch, add an additional tablespoon of grated fresh ginger. type that best suits your palate, and / or adjust the quantity added to the peaches. If these recipes for peach jams inspired you, let me say that sweet preserves offer year-round possibilities. From the strawberries of Spring to summer's bounty, pears and apples in the autumn, and cranberries so necessary on the Thanksgiving table there are all sorts of delicious possibilities. 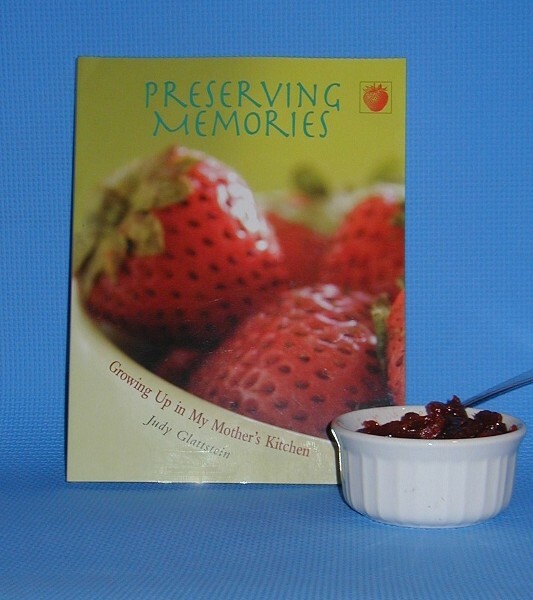 My book, "Preserving Memories: Growing Up in My Mother's Kitchen" has tips, techniques, recipes and memories of making a diversity of sweet preserves. Making sweet preserves has a resonance for me. It's something I do, my mother did, my daughter does. I hope you too, will discover the year-round pleasures of saving the seasons in a jar. Enjoy. Inspired but feel you might need more help? Want to get your friends involved? Perfect! a fun event with all sorts of on-line happenings, downloadable recipes and labels, even coupons. Get ready, get set, let's get canning. And not just on August 13th. Any day is a good day to can.